Turn to Our Roswell, Georgia Jeep Specialists for Repairs & Tune-Ups! 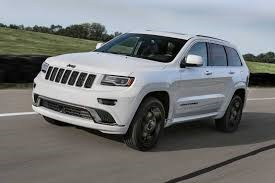 Get the most life out of your vehicle by contacting the Jeep specialists of Georgia at Roswell Outback Automotive today. We can solve all of your auto repair problems in our full-service mechanical auto shop, offering everything from regular maintenance and transmission/engine overhauls to vehicle restorations. Family owned and operated, Roswell Outback Automotive is run by master mechanic, race car driver, and Jeep specialist Jeff Dernehl. Jeff and his team want you to be 100% satisfied with your service and auto repair. We have a professional and knowledgeable staff who will provide you with a comfortable and honest atmosphere without the stress of a dealership. Our number one goal is to provide our customers with unsurpassed repair quality; which is why every repair is backed by our 1 year unlimited mileage warranty. Contact our Jeep specialists today in Roswell, Georgia for expert service every time you call. Proudly serving Roswell, GA and all surrounding counties.